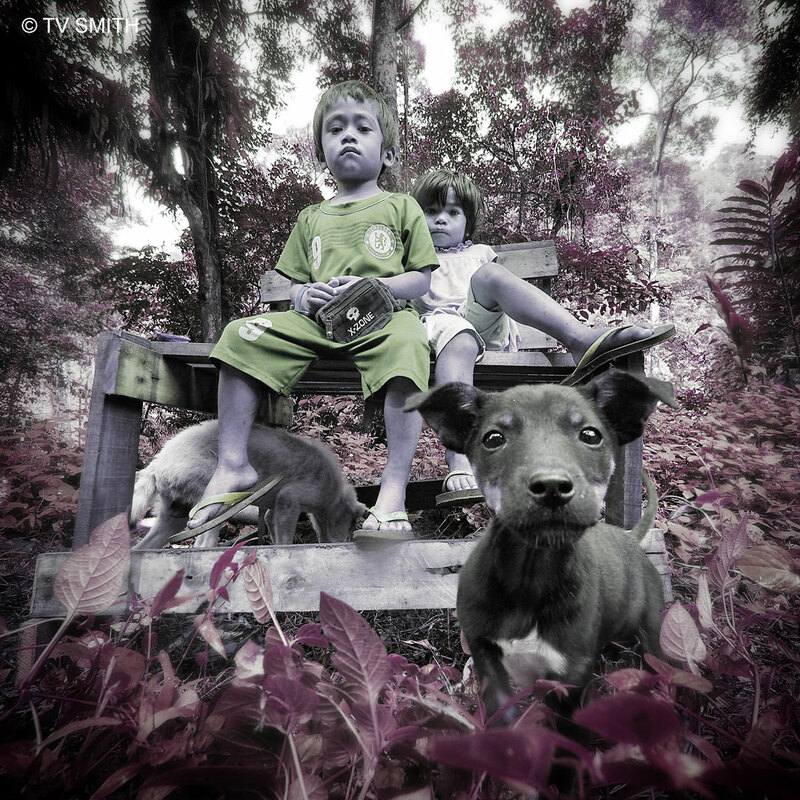 In the enchanted forest, I stumbled upon two Orang Asli kids and their puppy. The children are from the Temuan indigenous tribe. Photographed near the old Bentong road this morning. Olympus OM-D, ISO 800, f6.3, 1/160 sec. This entry was posted in Geography, Instagram, Life, Olympus OM-D, Photography and tagged aboriginal, children, dogs, em-5, forest, jungle, olympus, om-d, orang asli, puppy, rainforest by TV Smith. Bookmark the permalink.